We’re officially on the countdown to the 2018 summer wedding season (oh my gosh!). These next few months will be crucial for our 2018 couples, so listen up! 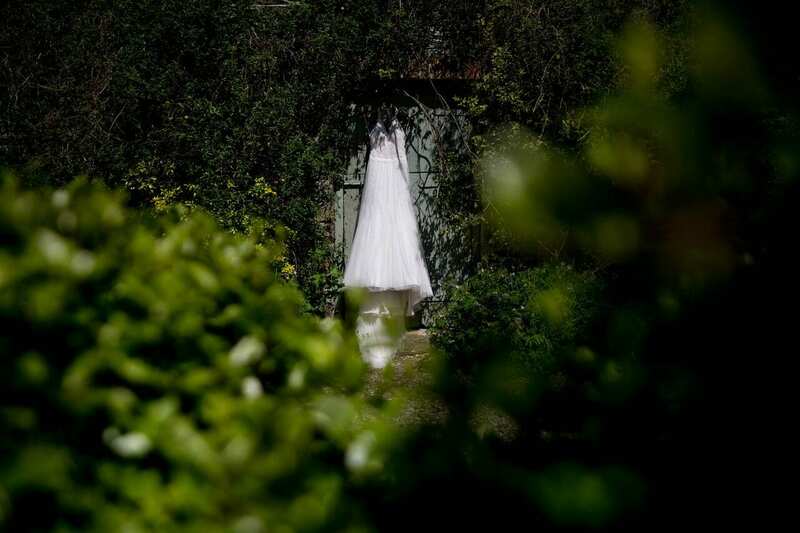 I’m going to be focussing on wedding fashion, a topic which I personally love. 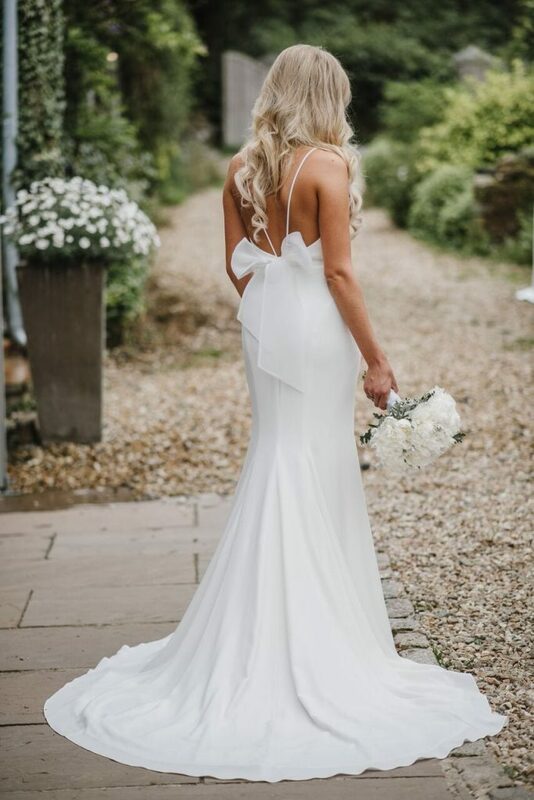 If you’re getting married this year then you’ve probably already chosen your dress (or in the process of doing so). Choosing ‘the dress’ can be such a minefield. A-line? Fit & flare? Lace? Plain? High neck? Long train? My head is spinning just thinking about it! 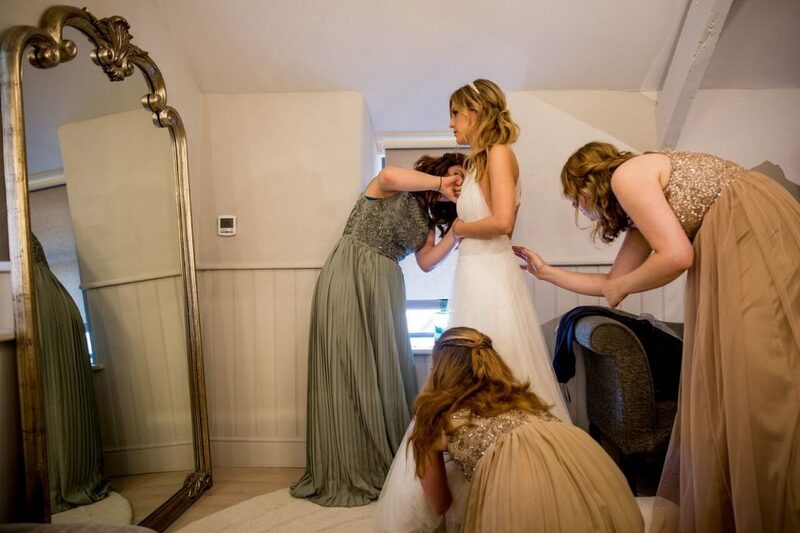 Want to know the most important thing about your wedding dress? Comfort. Yes, comfort. I know what you’re thinking, how can a dress that long and structured be comfortable? I hear you, but trust me, a dress that fits perfectly and is the right length will be comfortable. And comfort equals confidence. 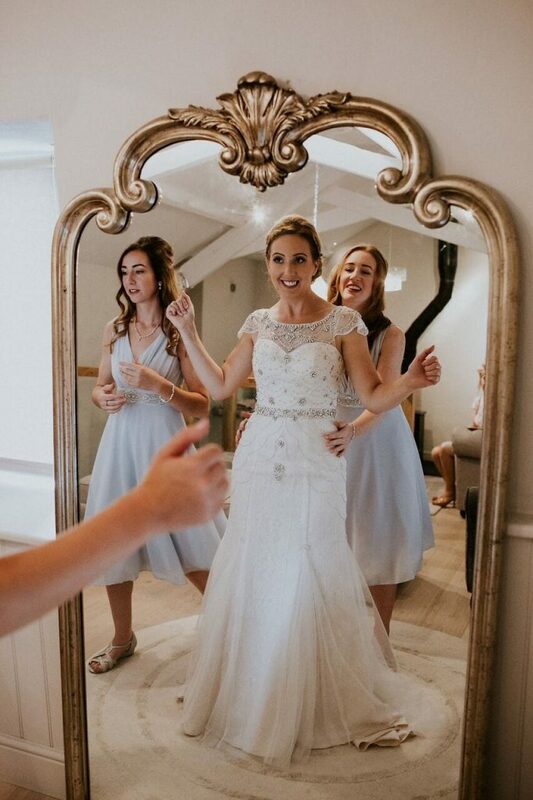 If you don’t feel good in your wedding dress then it shows. Plus you just won’t enjoy your day as much. We’ve all got those outfits which might be super stylish and everyone else loves, but you just don’t feel good in them. Don’t let your wedding dress be one of those outfits. 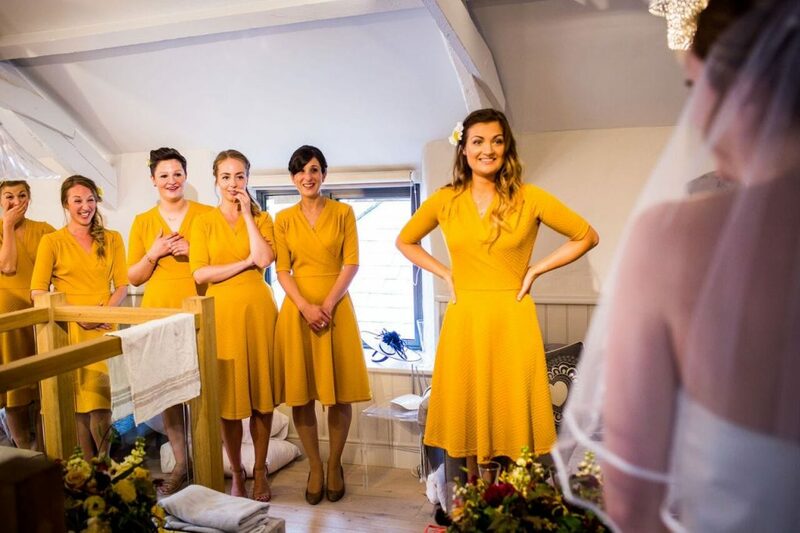 And even if your bridesmaids or mum preferred a different dress, if you’re happy then they will be happy. A good seamstress will be able to make even the most complicated and intricately detailed dresses fit you to perfection. And if you don’t have full confidence in the seamstress at your chosen bridal shop then don’t be afraid to take your alterations elsewhere. It is your dress at the end of the day, and it has got to be right. The big day itself where the dress makes it’s debut! 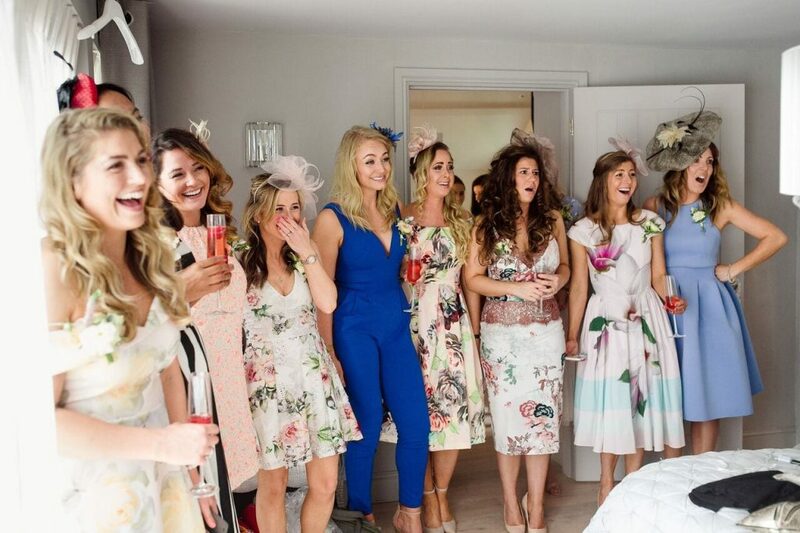 Will you have a ‘grand reveal’ to your bridesmaids and/or parents? If so, make sure you tell your photographer so they can capture the moment. Remember to leave yourself more time than you think to get into your dress (especially if you’ve got a lot of buttons!). 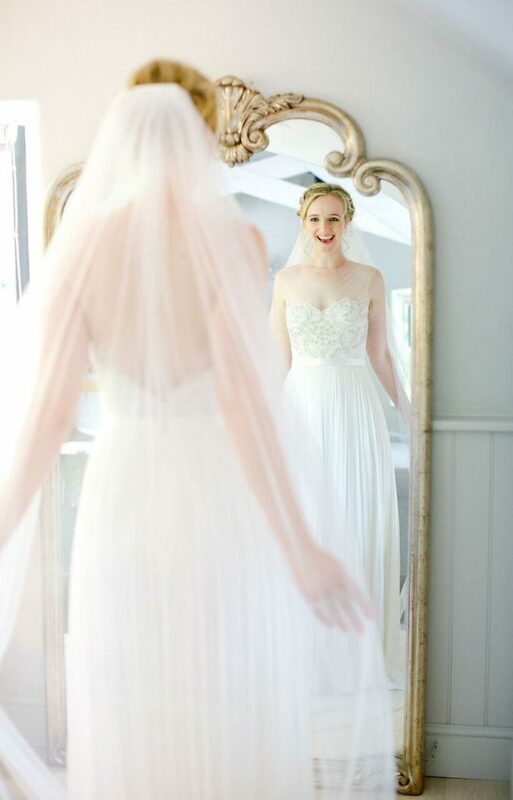 You want at least 30-45 minutes in your dress to let the fabric warm to your body before you walk down the aisle. 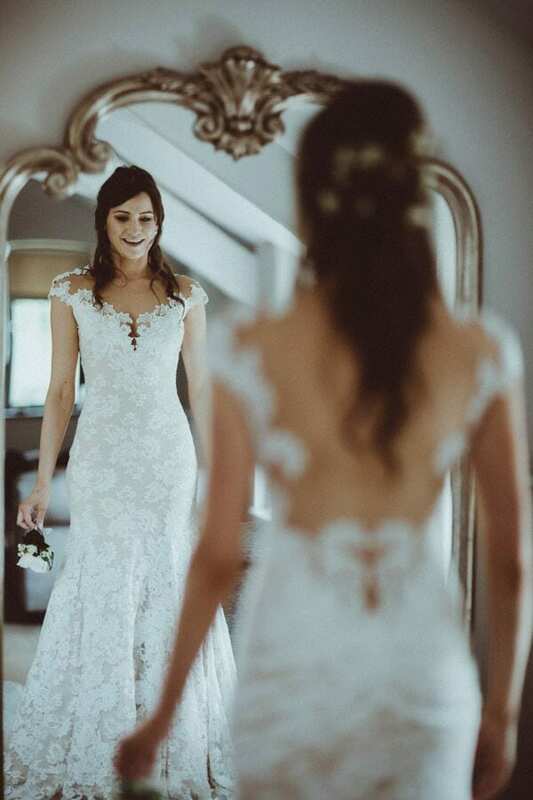 And if it’s a lace-up back you’ll probably need to tighten it just before going to the ceremony as the fabric will loosen. A good team of gal pals to make sure you look absolutely perfect is key! It is inevitable that the bottom of the dress is going to get dirty by the end of the day (especially with a long train!). Don’t stress, a good dry cleaners can sort it out for you. And it shows you made the most of your special day! Sarah had the right idea… getting the men to remove the twigs and leaves from her stunning lace train! 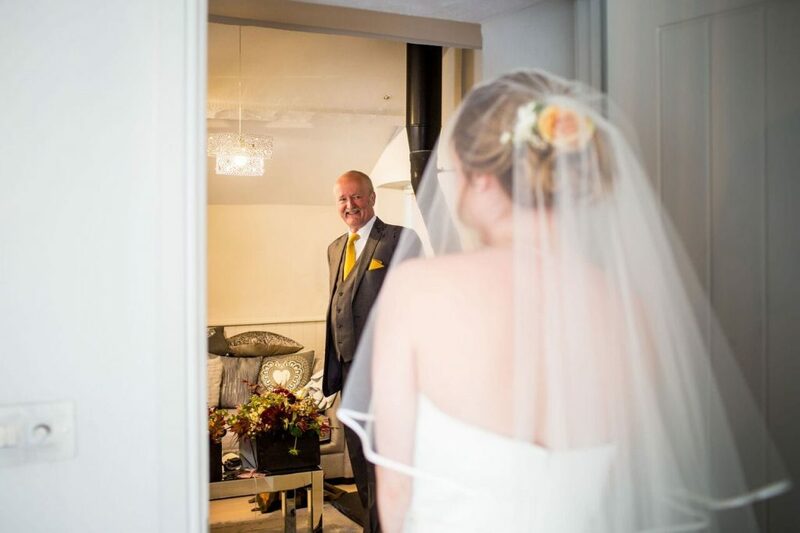 Visit our wedding gallery for more photos from these stunning weddings.